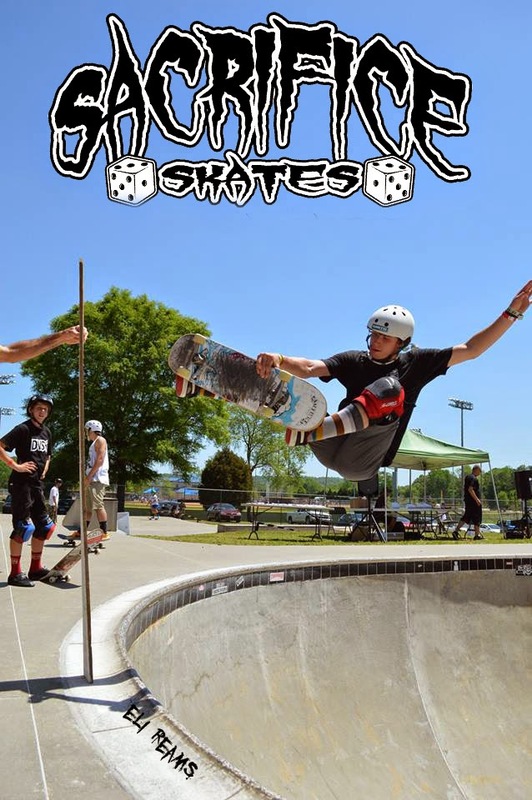 Sacrifice Skates Eli Reams...Big Airs in a Big Way! 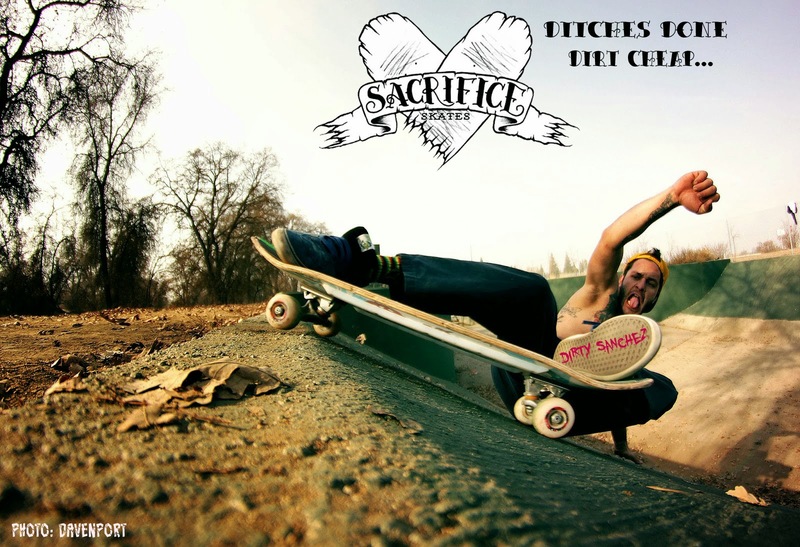 Eric 'Dirty' Sanchez puts in work...photo thanks to Lucas Davenport. 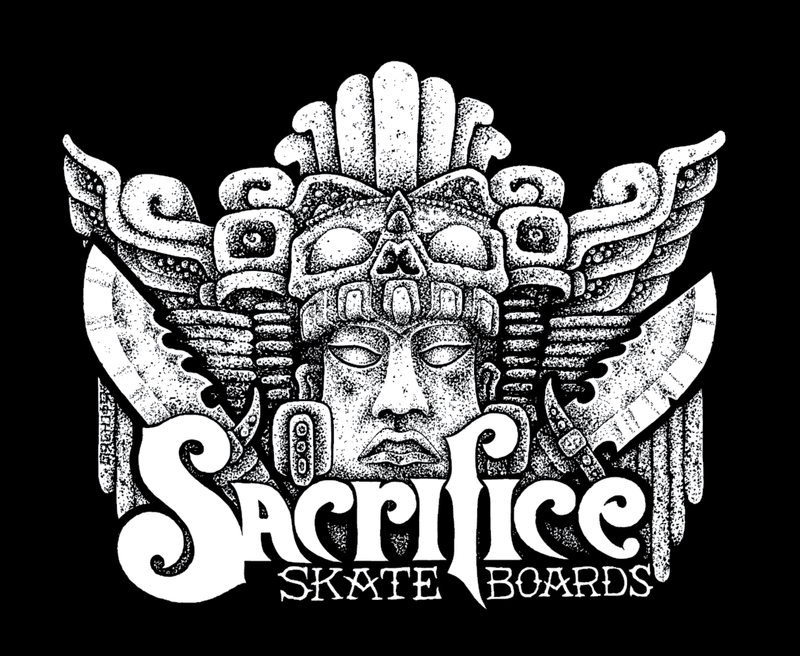 Sacrifice "Ronin" Re-issue for 2014. These will be VERY limited and will come in our traditional 9x32 square tail and a NEW 8.75x32 Pop Stick both with a 15" wheel base. 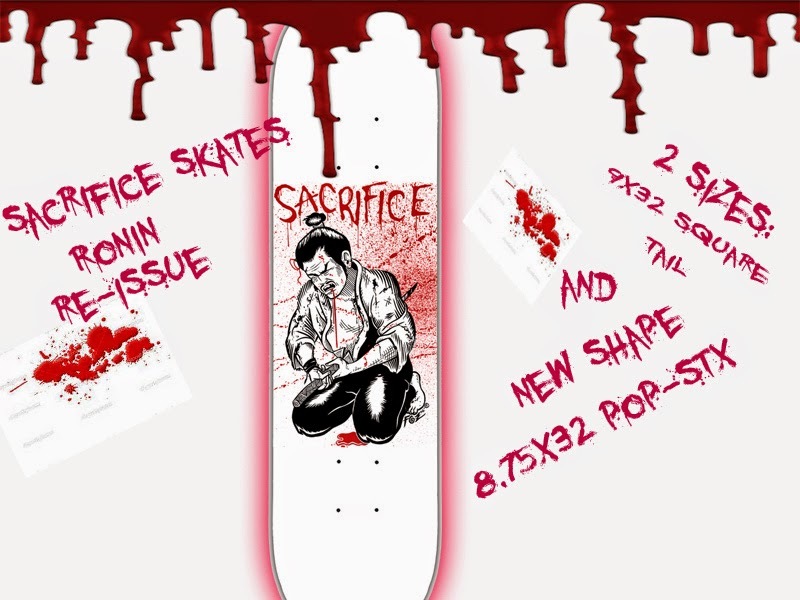 These boards feature all original art by Addison "Fozy" Mayfield from the bay area. First released in 2006. 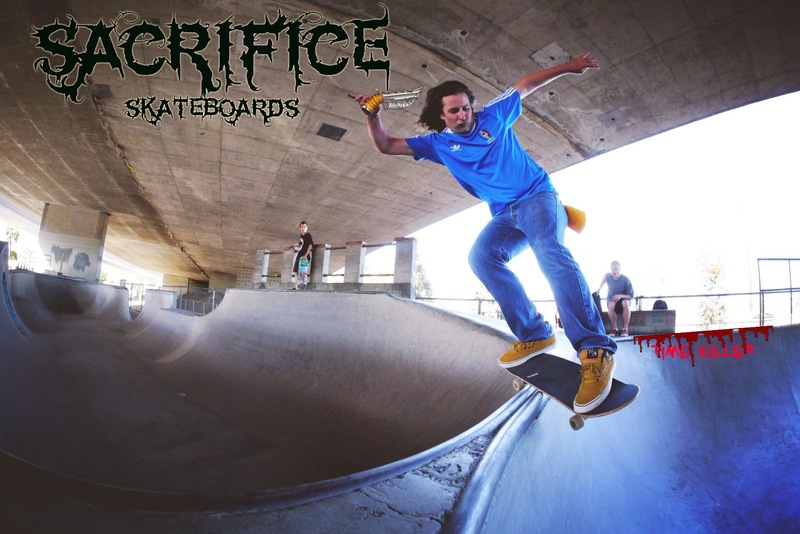 Taylor Barker snaps a killer shot of Sacrifice mini-ripper Lucas Sanders. 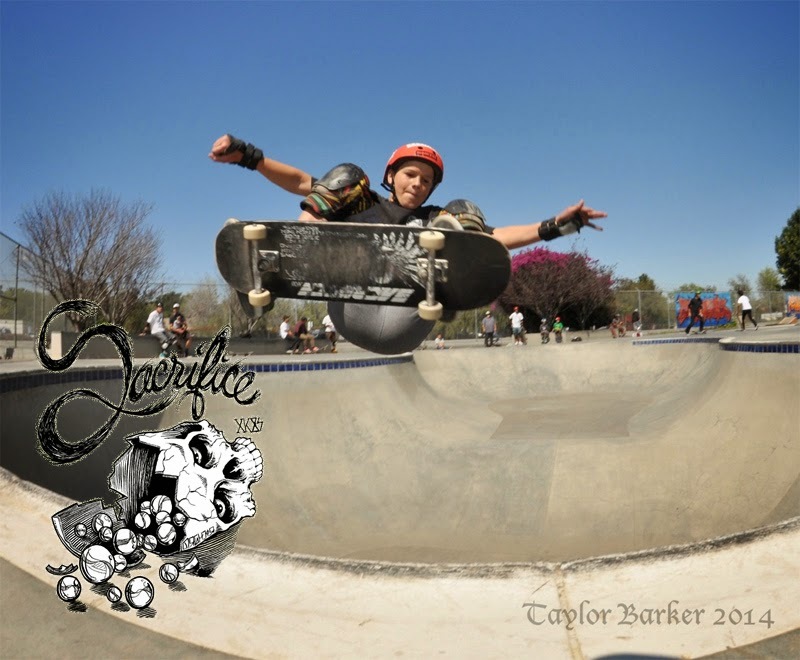 Big ollie in a big way! !